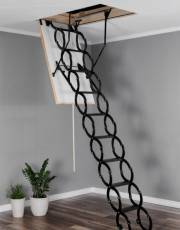 At Original Attic Stairs, we are committed to bringing you top quality products, coupled with a top quality service. 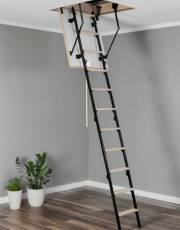 We have the largest range of attic stairs & ladders in Ireland, so we truly believe, if anyone can help you, it will be us! 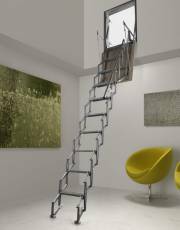 We supply and fit our extensive range of attic stairs throughout Ireland, meaning we have a fully nationwide fitting service. Our fitters are fully qualified carpenters and we pride ourselves on doing clean, neat and professional work. 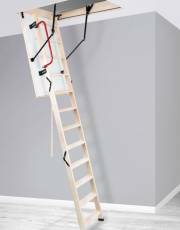 We have over 30 years’ experience supplying and fitting timber products and have been working exclusively with attic stairs & ladders for over 10 years. 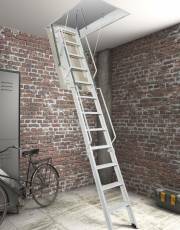 We specialise in high quality attic stairs, where the frame, insulated hatch door and ladder are all part of one unit. 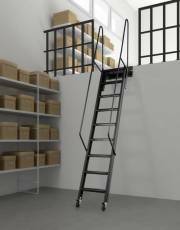 If you have an unusual situation we would advise you to view our full range, we supply and fit many specialist attic stairs to suit a number of unusual situations, such as: Folding attic stairs for very high ceilings (Up to 5m) - Retractable ladders for vertical openings (wall access) - Fully electric, automatic and remote controlled attic stairs - and ladders for tight spaces. Plus many more. All of our products have insulated and draft sealed hatches. Our prices are all inclusive, meaning for that for the prices listed, we supply and fit the product, if this requires your opening to be altered or if you need a new opening, it will be included in the listed price. They also include VAT. There really are no hidden costs. 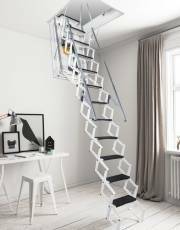 If you have any questions about us or any of our attic stairs, please do not hesitate to get in contact with us. Original Attic Stairs - Original Designs, Original Ideas.